Many options are available for keeping passengers occupied, so much so that an entire market has sprung up around it. The question arises though: what really entertains your passengers? Chris Peat spoke to several suppliers of onboard entertainment to find out what is proving popular when it comes to keeping passengers occupied and what the current trends are. Onboard entertainment has certainly come on leaps and bounds over the decades. Coach Multimedia Systems (CMS) founder, Andy Baxter, has been involved with installing this equipment for the past 30 years. In his time he has seen the installation of onboard TVs develop massively. It previously involved fitting a 12v/24v converted CRT screen into a metal or wooden box that was carpeted in the same material as the coach. Sometimes this involved the vehicle having to undergo some metal work for it to take the weight of the box. This is a far cry from modern PCVs, which often have spaces dedicated to TV screens. The much lighter weight of flat screens make fitment easier. Andy said the availability of purpose built monitors with mounting brackets have made these installations easier. Standard radio/cassettes have now been replaced with digital radio and DVD/HDD players while LCD/LED fixed and motorised monitors replace the old heavy CRT units. Andy has kept up to date with the latest developments in onboard entertainment and can fit a range of products, from his own brand of electrical equipment to numerous other brands. One of the latest developments he has seen a lot of interest in is wi-fi. 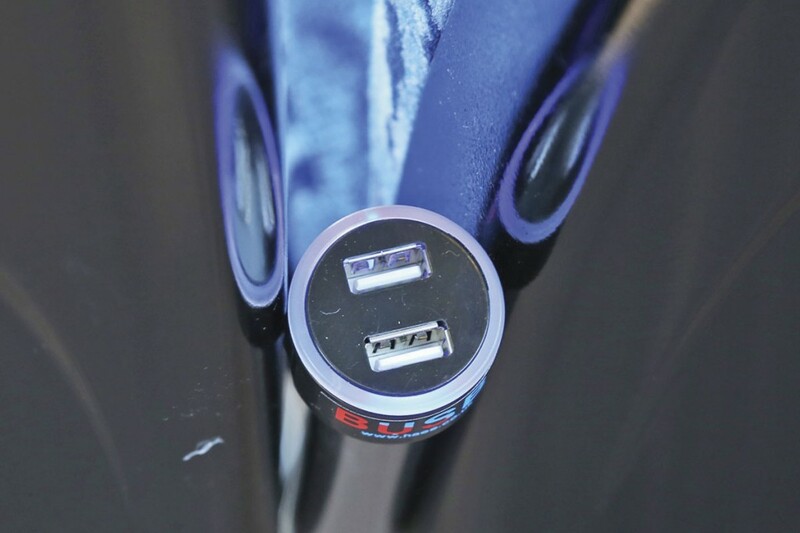 Also, USB power sockets are one of the latest products he installs, essential for those wanting to charge mobile devices for using the internet whilst onboard. The company is an official UK dealer for Actia audio and visual equipment. Actia is a major supplier of onboard entertainment equipment. The company offers the Enos II multimedia and navigation system, which provides RDS radio, DVD, CD and a USB flash drive. It has two microphone inputs and four camera inputs. The system also doubles as a Europe-wide GPS unit, displaying navigation instructions for the driver on its seven inch touch screen. The company also has the ADP system with wi-fi and hard drive designed for touring coaches, along with a range of other media players. Additional equipment from Actia includes microphones, screens (including fold away TFT displays), personal video screens aircraft style and personal sound systems. These devices are not just for larger vehicles either, the technology supplier also has a unit for minibuses. The ACT 313 consists of a 12V amplifier, microphone and video with ISO connectors. Equipment supplied by Actia can all be integrated into a single system on a vehicle using its multiplexed architecture. Integrating onboard technology is becoming increasingly more common. 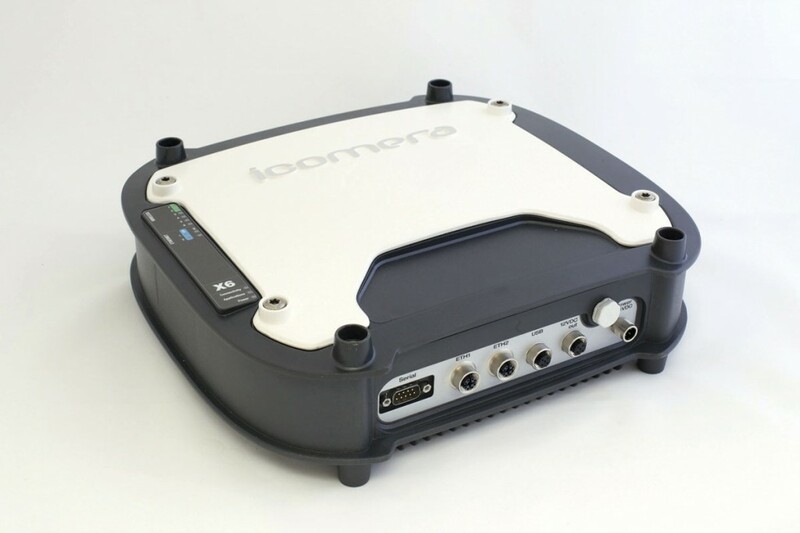 The company can combine the entire onboard entertainment package and all other onboard electronics into a single system. DVDs are one good option when it comes to entertaining passengers, but for an endless supply of viewing material, many are opting to fit satellite domes to pick up a TV signal. 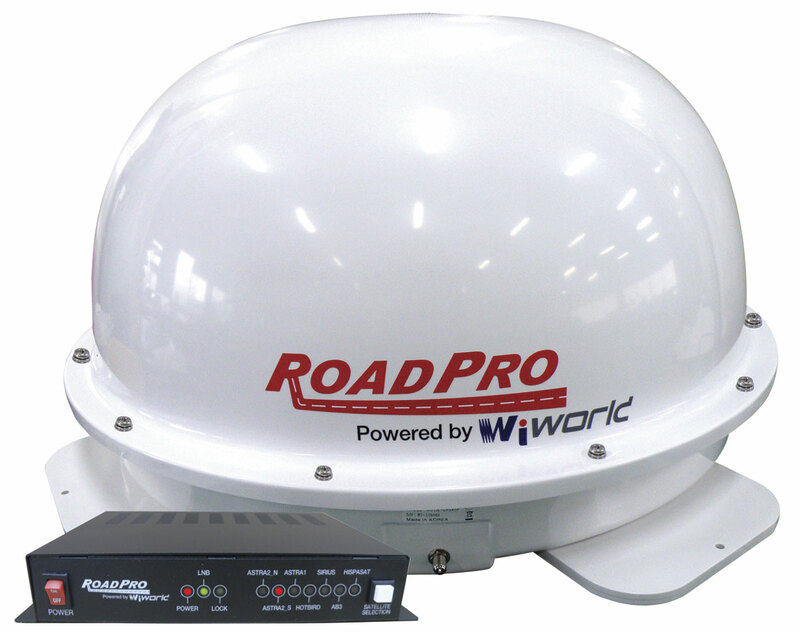 A company well known for providing this equipment is RoadPro, which offers the 30cm Sat-Dome. Providing satellite reception whilst the vehicle is moving, it is a low profile model, measuring 30cm high. As with all the company’s dome systems, it is designed to be easy to operate, with the company claiming most users will only ever have to switch the control box on without any more operation required. A variety of channels should be available with this product all over Europe. RoadPro warns that during 2014 all satellite systems will be subject to a change in the area of coverage. Because of this, it recommends the unit for use through England, Wales and Southern Scotland. Although the company recommends professional installation of any satellite TV system, for simplicity the Sat-Dome can be installed with just one cable to connect to the controller and a simple 12V electrical connection. When fitted by an approved RoadPro installer, all models have a five year warranty which covers parts and labour against faults in manufacture or design. If the unit is not installed by an approved RoadPro installer, a three year warranty applies. As well as a vast array of other onboard entertainment systems, Autosound provide satellite domes too, namely the TracVision RV1. The product is described as the smallest and lightest in-motion satellite TV system on the market by the company’s marketing material. Onboard TV for passengers can also be facilitated using Autosound’s new Bosch Freeview tuner, which was launched at this year’s Euro Bus Expo. Whether it’s TV or a DVD, laying on entertainment for passengers can be tricky in that what may suit some may not be others’ cup of tea. According to Autosound’s Sales Director, Lee Fergus, technology has been developed so that this need not be the case. With its Funtoro multimedia system, passengers can decide themselves which media to consume. Its MOD system offers an independent choice of movies, music, pictures and other multimedia content for up to 54 passengers per onboard server, with screens installed in the back of seats. Every passenger in the vehicle is able to choose their own content from the wide range of multimedia titles. Each user has headphones, which are connected directly to the monitor, so they are not disturbing each other. Lee said the trend now is moving towards passengers wanting to bring their own device onboard to keep themselves occupied, whether that is a tablet, laptop or smartphone. To charge these gadgets, USB Power Converters are available from the company for fitment at seats. Also, getting online is crucial to passengers looking to entertain themselves, so to facilitate this, the business has a new Bosch MediaRouter available. As well as enabling onboard wi-fi, it also allows passengers to stream content downloaded onto it or from USB flash drives attached to it. Adam Fairclough, owner of Bus Electrical, has certainly seen a rise in the amount of USB ports he installs onboard buses. Although he can fit whatever products a customer specifies, he tends to use the BUSB USB unit for buses, as supplied by Hunters Auto Electrical Engineering. The company fitted this model to the Blue Tiger buses used on Yorkshire Tiger’s re-branded K-Line operation. He agrees that passengers are increasingly more likely to bring their own devices onboard buses and coaches for not only entertainment, but to check e-mails and do some work whilst on the move. USB ports and wi-fi connectivity go hand in hand and as such Adam has also seen an increase in the number of wireless internet connectivity systems his company fits. As is the case with all of his work, the product (brand, model, etc) he installs is entirely the choice of the operator. However, he says the PCV market has two main providers of this technology. Adam expects to fit a lot more of both wi-fi and USB ports, believing it is going to be even more widely rolled out in the future. He still expects other onboard entertainment devices, from DVD players to screens, to be specified in years to come. 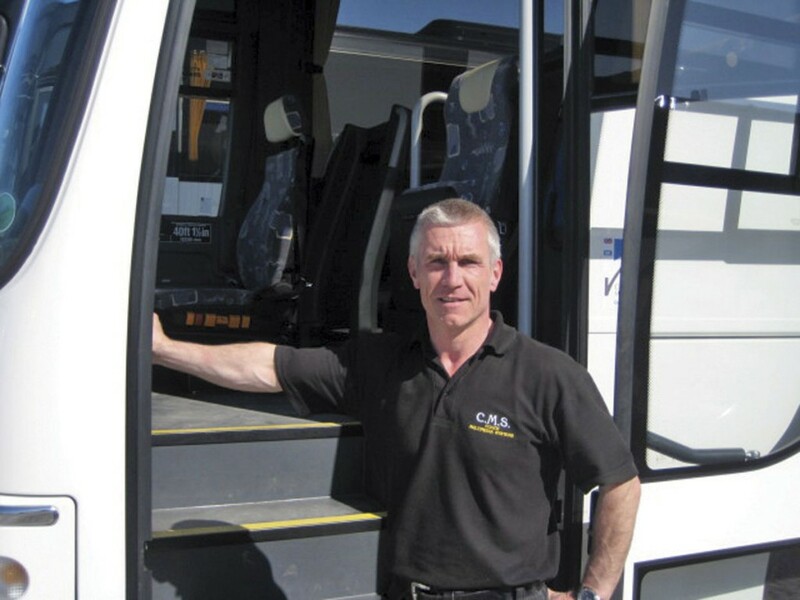 With wi-fi becoming a popular installation onboard buses, there is no surprise that the amount of suppliers of equipment for this has significantly increased over the years. One of the major suppliers in the industry is Mobile Onboard, which has launched its new Beam bw130. The release completes its line up of products designed to provide easy, powerful and cost effective passenger wi-fi for any size PSV. It follows the recently announced Beam Mini, its minibus wi-fi application. Designed and built by Mobile Onboard at its base in Southampton, the Beam bw130 is a mid-range passenger wi-fi unit specifically engineered for PCVs. With a 4G modem fitted as standard, advanced power management protection, remote management and the option of a lifetime warranty, it is priced at less than £500. Powered by Mobile Onboard’s new operating system, beamOS, the device is future proofed through automatic software updates, upgrades to new functionality and upcoming integration with other Mobile Onboard products such as My Mobile Tickets, its mobile ticketing platform. Like other units in the Beam range, the company claims is takes ten minutes to install and is designed to be portable for easy swapping between vehicles. As a self contained wi-fi unit it also has no requirement for any external antenna. Set to be launched early next year is an infotainment movie and TV module that allows the integration of things like Now TV and pay per view movies and content as an optional upgrade to the wi-fi boxes. It allows passengers to watch content locally off the box without using up the data, helping keep costs down. Paul Barns of Icomera, one of the industry’s leading wi-fi router providers, said passengers are increasingly expecting wireless internet connection onboard buses and coaches. He emphasised the prevalence of wi-fi hotspots, with around 48m of them worldwide. Connecting to the internet not only gives access to entertainment, it also allows passengers to engage in social media. 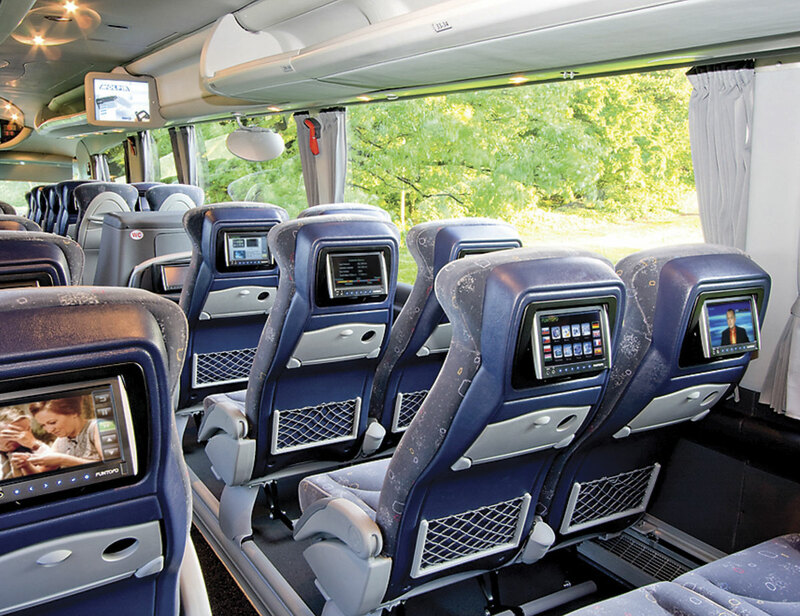 Icomera offers two main platforms for bus and coach installation. Its M-Series Moovbox range of mobile gateways are intended to provide a cost efficient solution for passenger internet. Designed to be an entry level product, the M-Series Moovbox devices support various applications such as CCTV, onboard media and real time passenger information. Icomera can also integrate 3rd party applications into the M-Series platform. The company’s X-Series is a more advanced option, providing all the connectivity of the M-Series, but in addition allowing third party equipment to be integrated. The system is configured and maintained via Icomera Vantage, which is focused on support for configuration, app deployment and monitoring of a large number of Icomera X-Series routers. Most recently, the company’s products have been used by the Oxford Bus Company and Stagecoach as part of the Oxford Smart Zone. Although it is possible to fit much of this equipment in house, another option is to get a specialist to do it for you. AD Coach Systems is one of these specialists. It is able to install the highest quality onboard entertainment, including the latest technology in TFT screens. These are available in sizes ranging from seven-inches, generally for on table mounting, or up to 22inches for installing in partitions or rack supported. 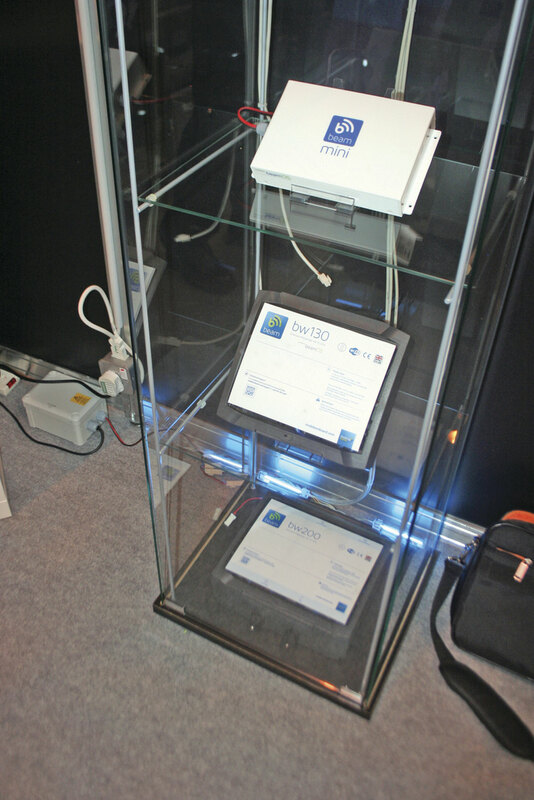 The company can also provide roof mounted powered screens in 15.4inch from Actia. Another area it works in is fitting satellite TV to vehicle roofs. It uses KVH Tracvision units in conjunction with a Sky or Freesat satellite tuner. In general, the company can supply or fit in coach audio from Actia or Bosch and is able to design systems to meet customers’ requirements. Even though passengers’ eyes may well be drawn down to their phone or tablet whilst connecting to the internet, there is still the lure of looking out the window during journeys. Particularly on routes with stunning scenery or with other interesting sites, tour guided services are likely to remain popular. This does not necessarily mean a tour guide is needed, as V6E has developed an array of multilingual commentary devices. The company’s product range can be found on over 700 tour buses and sightseeing boats, in 31 cities world wide. To use some of the equipment mentioned here, licenses are required. Under UK copyright law, to play a film onboard a PCV requires the consent of the copyright owner. Filmbank Distributors represents various film studios and provides these licenses. With the Coach and Bus Licence, cover per coach costs £150 (excluding VAT). It allows the showing of movies on Blu-ray, DVD or VHS from a wide range of studios. The Public Video Screening Licence (PVSL) from £93.33 per year would cover vehicles with a single screen. However, if the bus or coach has multiple screens or seat back TVs, the Coach & Bus Licence is necessary.